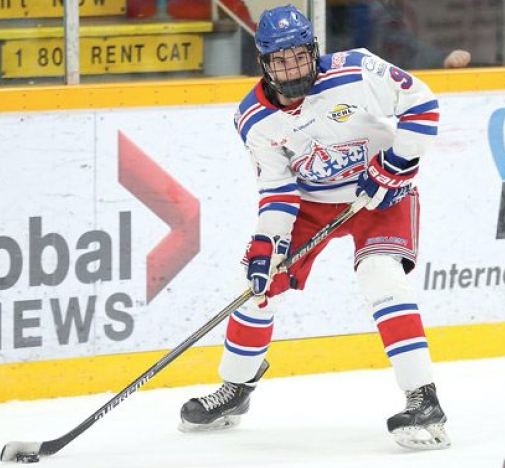 The Quinnipiac Bobcats men's ice hockey team picked up a verbal commitment from 1999 born forward Ethan De Jong from the Prince George Spruce Kings of the BCHL for the 2019-2020 season. De Jong is a 5'10, 175 pound forward off to a hot start for Prince George with 8 points (3 goals, 5 assists) in his first six games. This is his second full season in the BCHL after having 30 points (5 goals, 25 assists) in 43 games a season ago. An anonymous scout who saw him recently described De Jong as having high hockey IQ with very good skill who can play all three forward positions and will play in all situations on the ice. This is exactly the type of player that makes Quinnipiac tough to beat because they are able to find players who are able to fit into their system. De Jong, a native of North Vancouver, BC is a veteran of the Burnaby Winter Club where he put up 61 points in his final season with the club before moving full time to the BCHL. He will play this season and next in the BCHL before heading to Hamden in the fall of 2019.